I have been been contacted by The People's Front Of Buckland Way on more than one occasion regarding school-run-parking and particularly the occasional flamboyant examples witnessed in the area. 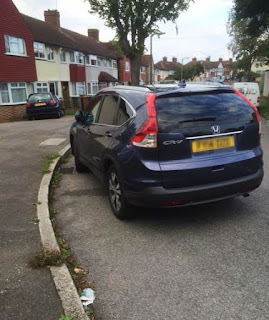 "The crazy parking antics of [these car parkers] - one obviously with an allergic reaction to kerbs..."
"Is there anything that could be done to restrict parking on this corner as although reasonably empty of cars in this picture, you only need a parent or child crossing the road on the corner (which is common) using the alleyway to cross to the Hamptons when a car comes speeding round the corner and hit them. It's amazing that we have a lollipop lady in Yippee outside of the school, but this heavily used part of Buckland Way has no protection to pedestrians crossing the road. How there hasn't been an accident so far I am amazed (and mightily relieved) but with the additional pupils now attending the expanded Dorchester, surely it is only time..!" I do have to put my hand up at this point. 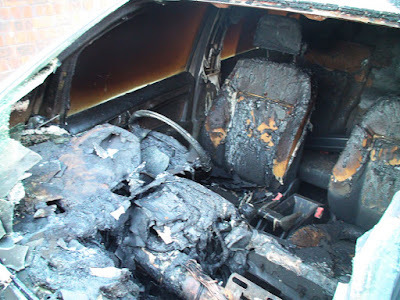 As the parent of one WP Junior at Dorchester I have been known, on occasion, to leave my vehicle somewhere not greatly removed from this general area. However I do plead that that at no time did I park illegally. There are no yellow lines here and provided vehicles are parked properly against the kerb, no law has been broken. This is the age old argument of convenience vs safety and where the line should be drawn. 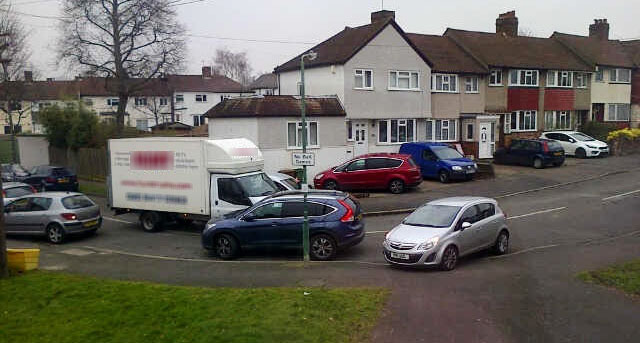 Some would argue that if everyone parked legally and followed the local 20mph limit (and just drove carefully and responsibly) there wouldn't be a problem. So the solution is one of enforcement. 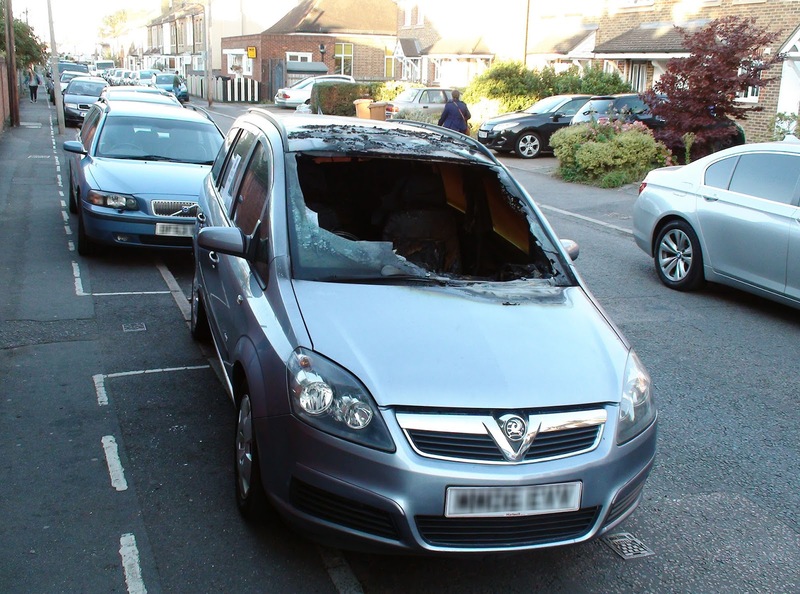 Others would argue that because some people don't always park legally or follow the speed limit or just drive carefully and responsibly, that we need to add more restrictions. People will always be running late and feel the need to drive their littleuns to the school gate. (We can encourage alternatives but can't pretend people won't choose the most convenient option when they have too much to get done in too little a time.) There will never be enough parking space right outside any school for them all and cars will always try to find the closest place they can. Personally I would like to see a bit more enforcement of the current rules. Perhaps an answer might also be a raised crossing in Buckland Way opposite the path through to the Hamptons. This would make cars expect to see children crossing here and slow them down where it is necessary. What do you think dear reader? It's on again today. 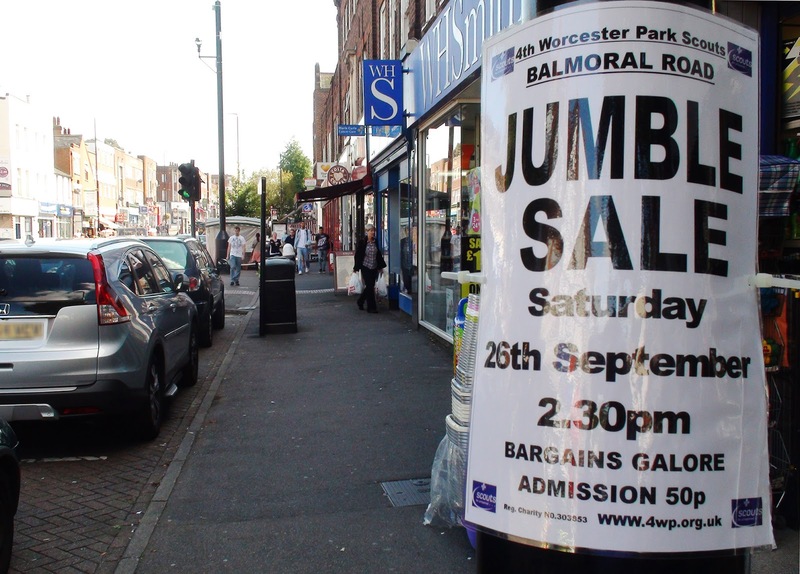 Head down to Worcester Park Scout HQ (where Balmoral Road turns the corner and becomes Braemar Road) for this afternoon's Scoutish fundraising event: The Jumble Sale! It all begins at 2:30pm and there will be - as it says on the posters here - "Bargains Galore". There are always bargains galore at these things so expect the pattern to continue. It's all for a good cause too. Our scouting (and guiding) movement brings great benefits not only to the children but to society as a whole as the children learn about discipline, responsibility and teamwork while having fun. This is how they get the money to keep doing these things so go along and support them. Q. 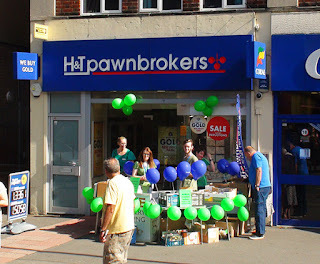 What is it that links: Books, Nurses, Charity, and Pawnbrokers? A. The last H&T fundraising event. In 2015 H&T are looking to raise £52,740 to fund a Macmillan nurse for a year between there 190 or so stores. 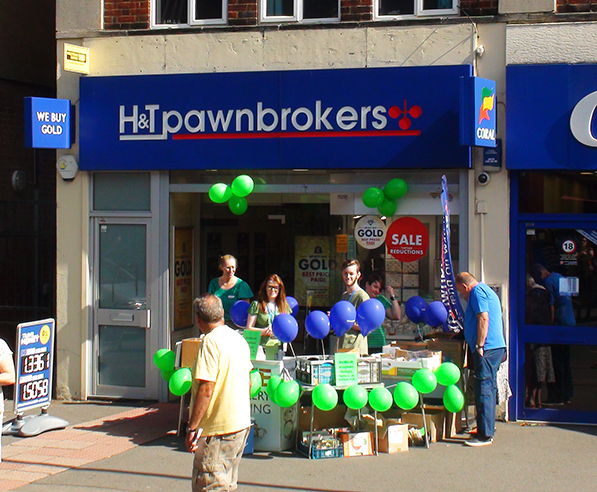 The H&T in Worcester Park is also hosting another event next Friday (25th September). It will be a Macmillan coffee morning, again to raise funds toward the Macmillan nurse goal. So if you're around - why not pop in for a coffee, a chat and to help Macmillan fund a nurse which in the end will be a Godsend for an unknown number of people suffering cancer. The two suspects (both 17) were also found in possession of a large amount of loose change and have been bailed to return in early October. Police are seeking whom this necklace belongs to and would like to hear from the rightful owner. 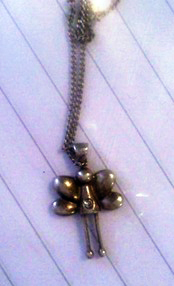 The silver colour necklace is in the shape of an angel. 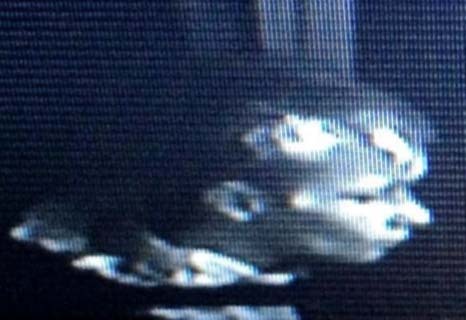 If that is you (the owner, not the angel), please contact Sutton Police station on 101. Alternatively, contact Crimestoppers anonymously on 0800 555 111. If there is a crime taking place always dial 999. When you get involved in the 'goings on' of a community one of the things you notice quite quickly is that there a small group of people who tend to be very involved with many or most of the things going on. (Yes I am guilty of being in this department.) While that group of us all get to know each other rather well, the problem is that the vast majority of people who make up the community are not part of most of these events or groups and their voices are not heard as much as they should be when it come to making things happen in the local area. This problem has always existed as anyone who has gone along to a few community events will recognise. You will tend to see the same 'usual suspects' at the North Cheam and Worcester Park Local Committee, the Neighbourhood Watch meetings, the Worcester Park Residents' Association (which I now chair), and other local events. And whilst I would heap praise on these people who go and speak up for their communities and take the time to try to ensure their communities are protected and improved - we are all at constant pains to try to get more people involved so as to hear from a wider range of people. It is in that spirit that a Worcester Park Networking Event has been organised by (yet another local group - which I also sit on) - The Worcester Park Stakeholders Group, to foster and build relationships between local business owners, local councillors and other local 'stakeholders'. "It is intended to give them a chance to meet representatives of other local businesses plus invited guests and local councillors. It is an informal format of a chat over a drink so nobody will be required to give a speech or presentation. It will also provide an opportunity for local organisations to recruit new members." The event itself is being conveniently hosted by the Royal British Legion in Central Road (69-73 Central Rd, KT4 8EB for those who don't know) this coming Wednesday evening from 6:00pm until 8:00pm. It is a chance for local business people in particular to meet a few more like minded people in the community and also some of the people who represent the community and exchange ideas, views and possibly even one or two criticisms! The event is free however it would be preferred if people would register beforehand. And while you'll probably see some of the same faces you have seen around the place at other local event, hopefully you and (and also we) will see some new faces there! 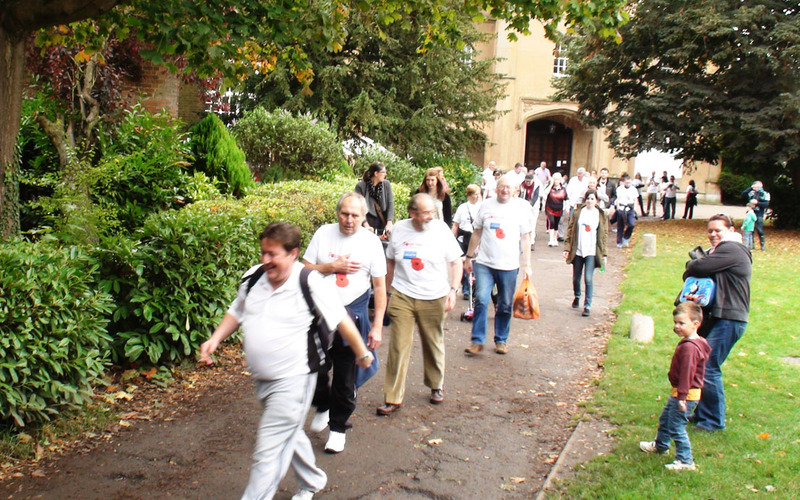 The Royal British Legion's annual Poppy Walk is on again today (Sunday 6th September). 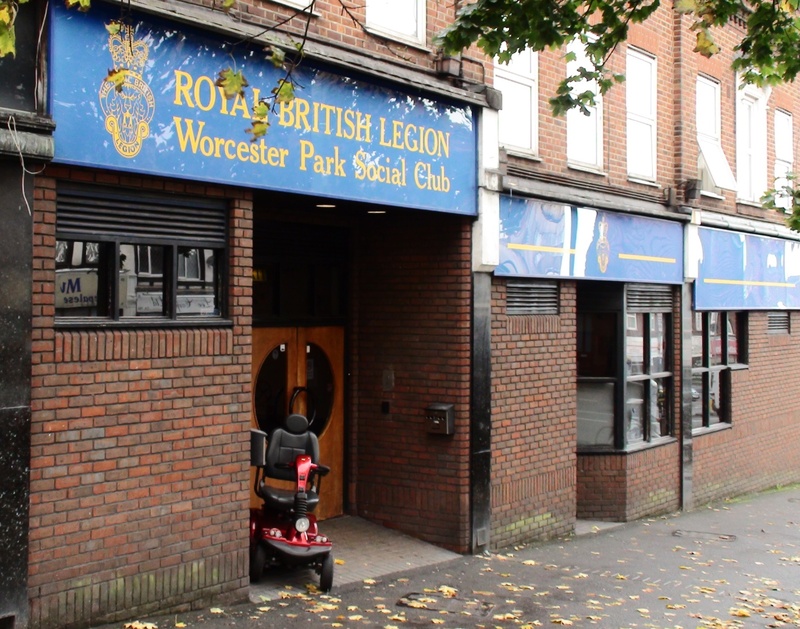 Members and supporters will be walking a 6 mile round trip around Worcester Park and North Cheam in support of the Legion and raising money to help support the thousands of serving and ex-Service people for whom the RBL is there for. There is still time to join in. Just pop into the Royal British Legion in Central Road by around 10:30 and ask to speak to Tom Clark - or even just mention to the bar staff that you'd like to join the Poppy Walk. 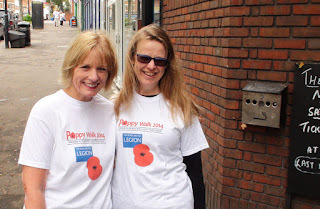 However I would urge those of you who can, to support the RBL and join the Poppy Walk which begins at 11:00am today.